Ellen has worked in England, France, USA and Canada; classically trained in Interior Design in England and qualifying with Honours, becoming a member of the SIAD, (Society of Industrial Artists and Designers) and the IDDA (Interior Designers and Decorators Association) Ellen has worked exclusively for high net worth clients in Europe as well as Canada. Now working in a market where buyers are increasingly sophisticated and knowledgeable, Ellen brings a wealth of interior design experience and knowledge which incorporates not only the current modern North American aesthetic but also a detailed and traditional European decorative sensibility. About us With over 20 years in the building business, you could say we have the inside track. We know what to look for. We know how sellers can hide problems from you. Your home doesn’t come with instructions. We are different than other inspectors because we take time to explain your home to you. Once the inspection is completed you are guaranteed to understand how your house works. Our relationship does not end after the inspection. We are always available to our clients should they have any questions even years after they have moved in. Every inch of the property is inspected: including all structural, electrical, heating and air conditioning systems, as well as plumbing. We will notify the client of any deficiency that is found. I-nspect will provide you with a report with color photos and an inspection manual with handy home information. Our inspectors provide honest, objective, and thorough inspection reports. From your first contact with us, through the inspection report delivery and the explanation of the report, you will experience the ultimate of professionalism. Your satisfaction is guaranteed. Gary Wong’s practice centres on real estate law. Prior to joining Cohen, Gary operated a successful private practice in residential real estate law and was also an associate with Korman and Company. Gary has acted for thousands of clients in connection with the purchase, sale and mortgaging of residential and commercial properties. He also conducts a number of legal seminars at real estate offices on the latest developments in real estate law. Gary is fluent in Cantonese and speaks French. He completed his Bachelor of Laws at the University of Victoria, and Bachelor of Arts (in Political Science) at the University of Toronto. Gary was called to the bar in 2003 and is a member of the Law Society of Upper Canada. Like many Mortgage Brokers, Demos Vasilakos entered the industry in order to help people avoid the limitations set by traditional banks and financial institutions. Recognizing that these lenders can only provide the best available option from their own products to a client, Demos was motivated by the fact that he had the ability to help Canadians find better matches and better rates. After 16 years in the mortgage industry, Demos still operates under the same principles today, and it’s helping people get ahead in life as a result of them that he most enjoys about his job. His educational background studying business at Ryerson University, and the completion of the PFP have made him a knowledgeable source to many clients in the Greater Toronto Area during his long career. Working in the highly competitive local industry has given Demos the opportunity to work with and assist clients from a variety of backgrounds, and with very different mortgage needs. He’s a well-rounded Mortgage Broker with experience helping people purchase investment properties through commercial lending. He has also worked with individual homebuyers with bad credit, and those in need of financial planning assistance, and advice on choosing and obtaining private lending. As an integral part of the Mountainview Mortgage team, Demos Vasilakos is looking forward to a future doing more of what he loves – helping people become successful in their financial endeavours. Certainly, your own goals must align with his, so contact him today to receive assistance in reaching your personal dreams. Tyler's story is like that of most true entrepreneurs - hard work and persistence pays off. At the age of 19, Tyler began his own live music entertainment company which was highly successful. Now as a mortgage agent he continues with the same belief in complete personalized attention to each and every one of his clients. A naturally creative individual - he finds solutions to get tough deals done and takes great pride in making the mortgage process as clear and simple as possible. Tyler's customized focus allows him to tailor mortgage products around each client's specific needs and financial objectives. Thinking beyond just the term of the mortgage, Tyler's goal is to help build his clients personal wealth long term. He believes in maintaining genuine relationships which is exhibited in his extensive follow up program. A part from the daily fun as a mortgage agent, you can find Tyler occasionally playing music in pubs around southern Ontario. A proficient guitarist and singer, Tyler has had some of his original songs placed in movies and TV shows as well as played heavily on commercial radio. When it comes to your mortgage, it is important to make sure you get the home you really want, with flexible financing solutions that are right for you. This is where I come in. I’m here to help you get the mortgage you need to suit your lifestyle and to make your home ownership goals happen. Supported by the considerable resources and expertise of RBC Royal Bank®, I will provide you expert advice and service for your home financing needs. I can help you understand the economic environment and ensure your financing suits your current situation and your future plans. You’ll enjoy the confidence of knowing you are working with a professional who has only your best interests in mind. If you are looking to make informed mortgage decisions, contact me today and I will be in touch with you within 24 hours. 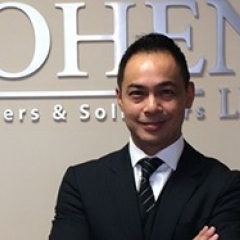 Gerald McGiverin has been involved in organized real estate since 1992. The transition to management, was a natural fit. 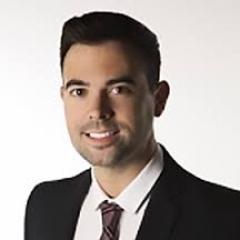 As a past real estate coach for Canada's largest real estate coaching company, he gained great insight into the opportunities and concerns that make being a real estate agent both exciting as well as challenging. Gerald is a big believer in continuos education and self improvement, keeping relevant in an ever shifting real estate industry, both for himself as well as the agents he serves at RE/MAX Ultimate. Gerald has obtained his Broker, ABR and SRES designations. Gerald currently serves on the arbitration committee at TREB, keeping currently on the rules and regulations that govern the real estate industry. Gerald knew in his first meeting with Tim, RE/MAX Ultimate was a very special organization that was going to allow all involved an opportunity to evolve into more than they could have imagined on their own. To this end Gerald looks forward to supporting and helping all who are part of the RE/MAX Ultimate team. Tim Syrianos is the Broker of Record/Owner of RE/MAX Ultimate Realty Inc. Entering real estate in 1989, young and ambitious, Tim strove to take in and learn as much as possible about his chosen industry. His drive and passion led to extensive knowledge in all aspects of real estate, including residential sales, commercial, industrial ventures and land assembly projects. Striving always to better himself and provide his clients with the Ultimate in service, Tim went on to work towards and earn his Broker's license and other designations, including ABR, MVA (Market Value Appraiser) and CERC (Registered Relocation Specialist). Along the way, his efforts did not go unnoticed as Tim became the recipient of numerous achievement awards including "The RE/MAX Hall of Fame” designation as awarded by RE/MAX International. His knowledge and expertise have been sought after as an industry speaker and has been featured in numerous media interviews including newspaper and TV (CBC, CFTO, CTV, Omni and Global). With the support of his wife and three young children, he has focussed his sights on helping other Realtors achieve success, mentoring and coaching his entire sales and support staff and sharing the knowledge that has made him successful. Tim has also served as part the TREB Board of Directors since 2012 and also as President elect of TREB between 2017 to 2020. Tim is determined to fulfill his dream of building a Brokerage that is second to none, and in delivering the ultimate service to clients, as he himself has done for so many years. Through Tim's leadership, RE/MAX Ultimate Realty Inc., Brokerage has built an enviable reputation in our vibrant city as the “go to” brokerage for clients and other Realtors, as well. Whether you are a buyer or seller looking for the ultimate in realty services or a realtor looking for the ultimate workplace, make RE/MAX Ultimate Realty Inc. your destination of choice!